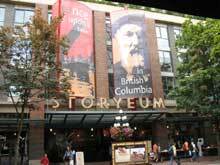 Storyeum is quickly becoming one of Vancouver’s most popular attractions. It’s no wonder! This unique interactive, living-history museum is one of the newest additions to Vancouver’s many visitor attractions and one that is sure to hold the interest of guests of all ages. 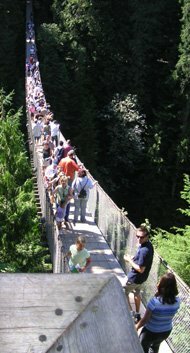 Live actors and amazing sets will intrigue you as you make your way through the British Columbia’s past and into the present and future, courtesy of an experience that will excite all your senses. You’ll be hard-pressed to find anything else in the world that compares to Storyeum’s BC Live Underground. Your journey will begin as you descend below the streets of historic Gastown, Vancouver on one of the world’s largest passenger lifts, carrying 200 people per trip. When you exit the lift, you’ll be in another world. Seven different sets that occupy 65,000 square feet of underground space take visitors on an exciting trip through 400 years of British Columbia history. Twelve actors portray twenty-four different historical characters and interact with the audience as they teach about the First Nations, the arrival of European explorers, the Gold Rush era, and the Confederation. Audience members are also treated to seven original songs, making this a sort of musical theater production with a unique twist. BC Live even features a locomotive that actually moves and even smells like a real train. This replica of a Canadian Pacific Railway engine tells the story of the importance of the railroad in British Columbia history and children are especially thrilled with the sights and sounds of the train, built to 88% scale. Finish the presentation with an awesome 360 degree multimedia sight-and-sound presentation which occurs inside the 2nd lift during your 5-minute ascent back to street level. Amazing! 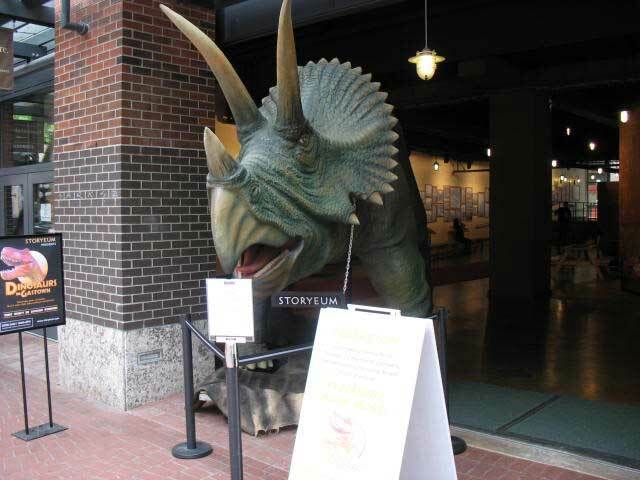 Storyeum’s newest and first international exhibit, Dinosaurs in Gastown will thrill those who love those creatures that walked the earth millions of years ago. This fun exhibit features more than 100 prehistoric fossils, 11 complete dinosaur skeletons, and a life-size animatronic T-rex and Triceratops. Eight of the skeletons are authentic and 3 are models but all are fascinating to see. Dinosaurs is scheduled to leave the museum at the end of September 2006. 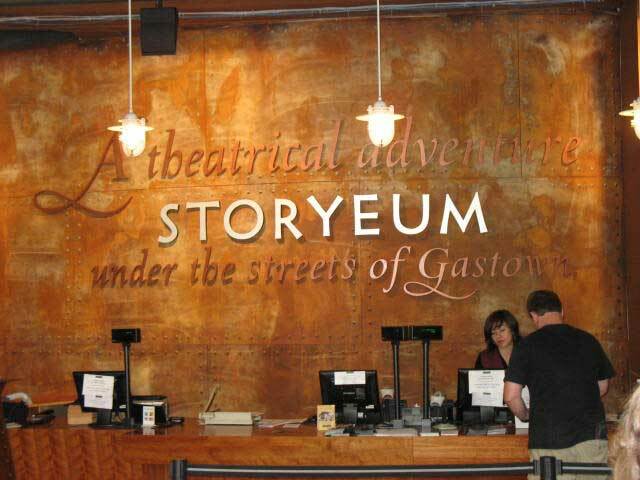 Located in the historic neighborhood of Gastown at 142 Water Street, Storyeum is open daily year-round from 10 am until 6 pm. Show tours for BC Live Underground begin at 10 am (doors open a half-hour before) and run on the hour and half-hour until 5 pm. Dinosaurs in Gastown also opens at 10 am and the last admittance is at 6 pm. 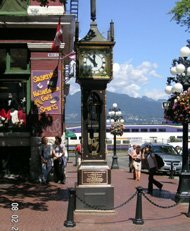 Continue your historical search at the Vancouver Museum for additional fascinating exhibits, and blast off at the nearby Vancouver Planetarium at the H.R. MacMillan Space Centre. Visit the Museum of Anthropolgy at UBC, for an outstanding selection of over 12,000 pieces of Aboriginal and international artifacts.